With a weekend visit to one of the island resorts in Qatar, it was the much-needed break from the weekday mundane routine! In today’s post, I am featuring this amazing Face Soufflé from Hedonista. It was part of my June Envy Box package and had saved it for later only to end up forgetting about it! I have always loved products with chocolate- Be it pedicures,manicures or even facials, it’s an absolute delight!The face soufflé is one of the best products I have used and as you can guess, it smells absolutely divine! With a lovely smooth mousse texture, it makes it easy to apply onto your skin. With no tingling sensation, it leaves your skin feeling fresh and revitalised. True to their claim –It did feel like my skin was deep cleansed. Make sure to apply the product on clean skin and for best results leave the product on for a good 15mins, followed by a proper rinse off. It’s perfect to brighten up dull skin-giving you the all-important glow! It did help to reduce my sun tan as well. Chocolate mask is said to be effective for skin brightening and anti-ageing! With promising results, I will surely be buying this again! It is priced at Rs1650 for 115 gms. You can buy directly from their site here . We would love to hear about your skin care routine! Would you like a bit of a chocolaty indulgence! Hope all is well that side of the world! As promised in my previous post, I am bringing you my 'hacky' way to getting things delivered all the way from US to your post box. As the saying goes, dire necessity and desperation paved way to me discovering this amazing site! 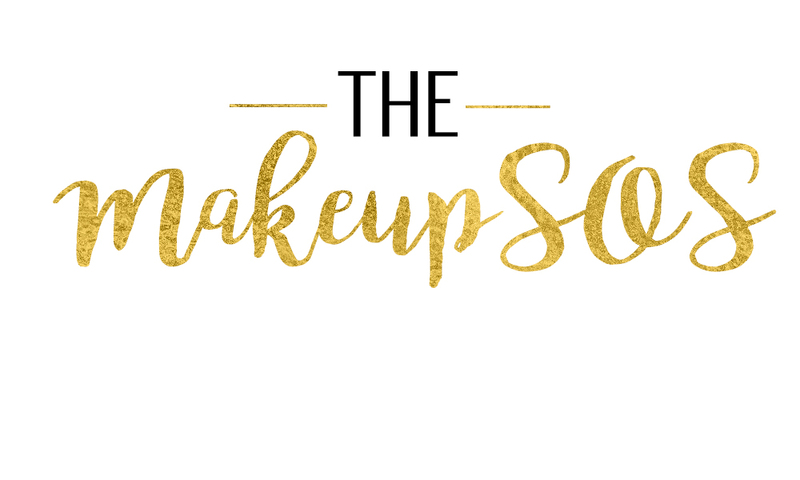 It was one of those ritualistic buys from Urban Decay when I was re-directed to their website and Ladies, I have never looked back since then! At the other side of the hassle free sign up process, awaits your custom mailbox and bespoke address that gives you the license to shop away! Even some of the popular brands do not ship outside of US and having lived in India and now in Qatar, shipping arrangements has always been a pain! They have partnered with a lot of retailers and on setting up your account you can get hold of the full list that includes the likes of MAC , Amazon,UrbanDecay, ColourPop, GAP et al. your requirements- Basic, Premium and Premium+Mail. All three includes a onetime registration fee. The Basic plan has an annual fee, with 5 days of storage offered as part of the plan. This will be ideal for the occasional once in while buys. For all the regular ardent shoppers out there, with 30days of storage -Premium and Premium+Mail Plans might be the more financially viable option. These schemes have monthly-based subscription charges. They also offer Personal Shopper service, with a slim processing fee, under this service on sharing details of your product or the product number with myUS.com they will do the purchase on your behalf and handle the pickup and manage the payment transaction in the mandated way as requested by the retailer. With notifications to your mailbox at every stage of the shipment, you can have your peace of mind! Once your shipment reaches myUS.com ,they will upload a picture of the order and at that point you can either enter the approx. value of goods either manually or send across screenshots of your products and they will do the calculations for you. Once this is reviewed another notification will be sent out confirming dispatch of your package from their hub. For the cross-country delivery, you have five couriers to choose from or alternatively you can choose the least expensive method and US.com will do the math for you and get you the cheapest option. My package was delivered in less than 10 days and I did incur a tiny duty fee of 10QAR. Considering the drama and anxiety involved in a cross Atlantic parcel delivery, myUS.com totally makes it an easy and much joyful experience! Having my fair share of bad correspondence and crappy customer service with several popular courier services, myUS.com is a breath of fresh air. Its reliable, consistent and most importantly its great service that is reasonably priced! With more hauls and finds coming on this space- Until Next time! Take care and Happy Shopping! Excitement is probably an understatement, when this little delivery made its way home! I have been eagerly looking forward to trying the ColourPop range and I must say, they surpassed my expectation! With tempting beautiful shades of lippies and eye shadow colours to match the mauvest of your makeup fantasies and Brow goals, its literally a makeup lovers haven! I picked up a few products across their range and as always, a review I Promise! After much research – I went for ColourPop X Karrueche Super Shock Shadow Range- an epic collaboration effort by the brand with Karrueche Tran. The duo have produced some great pieces at affordable price. Sunsetblvd and Beverly are lovely shades thats part of this. Sunsetbvld is all about beautiful glow, baby! With warm golden hues,bronze tones and pearly shimmer sheen its perfect to glam up your look! It has super nice pigmentation and was hassle free to apply with fingertips rather than a brush, the brand recommends the same if you are aiming for an opaque finish! Beverly is a deep blackberry .It has a semi matte finish and the colour has semi opaque coverage and a smooth creamy texture that makes it easy to apply!! Hustle –is a burgundy lover’s dream come true! With Feather like texture, it applies with much ease. I would recommend a double coating for a super dramatic look! CentralPerk -well it’s not just the name that’s a total winner –this shade is described as dirty maroon matte by the brand. A medium to dark burgundy with lovely warm undertones and a semi opaque colour payoff. With the smooth and velvety texture, it is a total winner. Bandit –is the perfect rusty shade I have ever come across, it has a medium dark brown hue with, red orange undertones. Applies amazingly and blends in beautifully onto your skin! Mittens , a warm brown with red violet undertone and matte finish. it’s a dark burgundy brown with warm red undertones with a satin effect! Like central Perk it has an opaque colour payoff and super easy to blend, making it a perfect crease colour. Cornelious is said to be a mid tone warm caramel with a matte finsih. A lovely medium brown shade with warm undertones and again has a Matte finish. Great pigmentation and with velvety texture the possibilities are endless with this shade! Kathleenlights a golden Copper, Yes you read that right, its Copper! Bright copper and warm red undertones coupled with gold metallic and shimmer finish! With around 10- 12 hours, it lasted really well and there wasn’t any ugly smudge or smear! I got mine from their site. So you might have concluded this already, without a shadow of a doubt (;) literally) these babies have won me over! Simply put, it is an amazing product at a super affordable price! Are you a bronzy brown or a burgundy hues person! Have you tried the ColourPop range before? We would love to hear all about your shadowy tales!